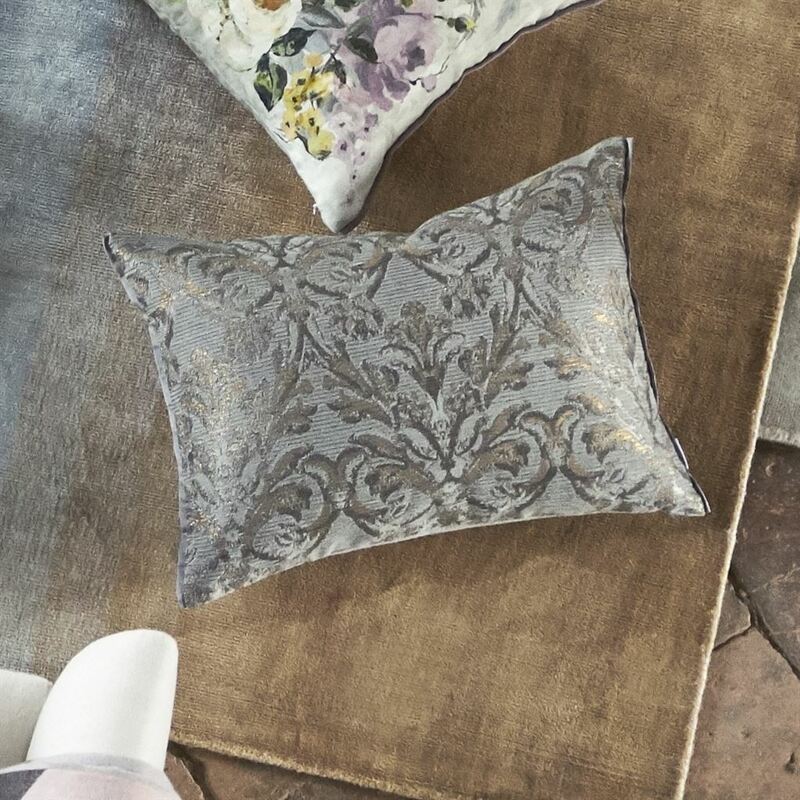 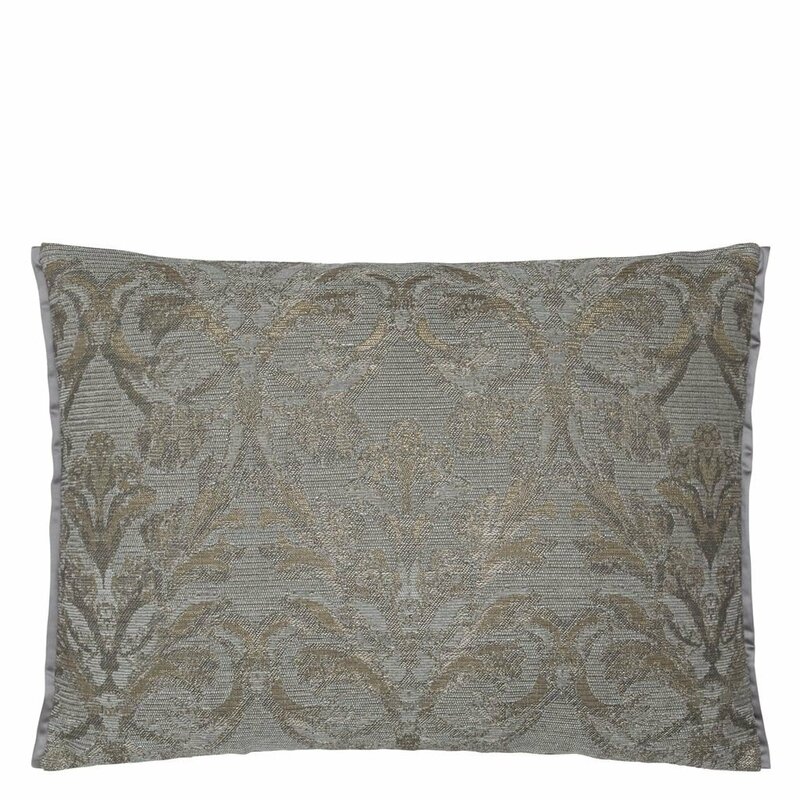 A classic damask pattern is given a contemporary edge in this stylish scatter cushion. 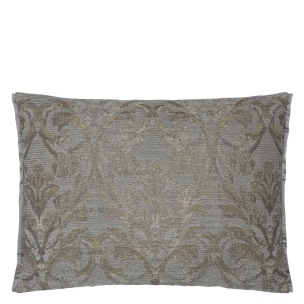 Elegant graphite chenille woven with silver metallic threads create a mood of pure luxury. 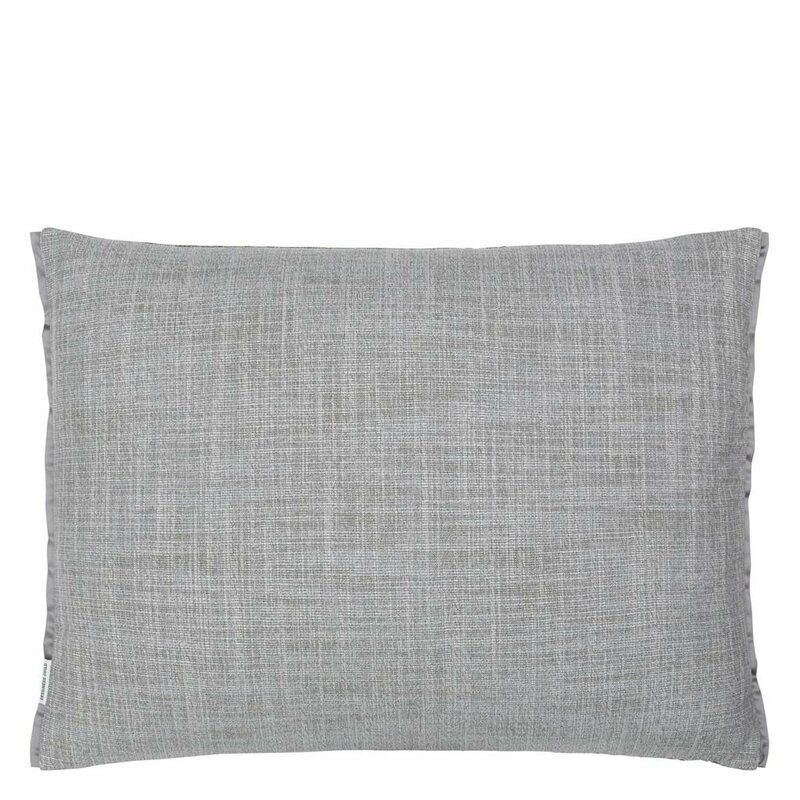 Trimmed with our best selling Tiber on two sides and reversing to Tangalle zinc.